On April 9, the only democracy in the Middle East — as many Israelis like to point out — will hold general elections. Traditionally Israelis cast their votes for a party on the left or the right of the political map, in favor of the peace process with their Palestinian neighbors or against it. The issue of national security has always been an important factor in the Israelis’ electoral choice. 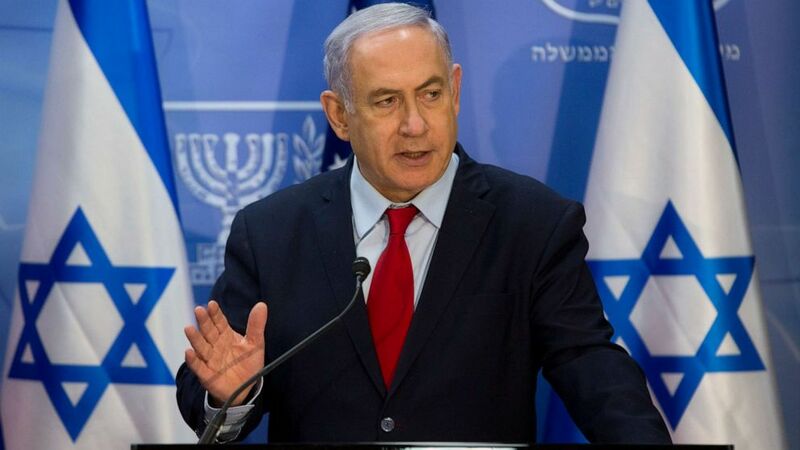 Although the Israeli electoral system allows voting for one of the political parties running, the April 2019 elections have an unprecedented personal character, a national referendum on Prime Minister Benjamin Netanyahu’s leadership just as much as on his personal integrity. Will Netanyahu be re-elected for a fifth time as Israel’s prime minister or will he be voted out of office? (Sebastian Scheiner/AP, FILE) Israeli Prime Minister Benjamin Netanyahu gestures as he speaks during joint statements with U.S. Secretary of State Mike Pompeo at the Prime Minister’s office in Jerusalem, March 20, 2019. Netanyahu has been Israel’s prime minister for the last 10 years, elected for a second time in 2009 and another two consecutive times in 2013 and 2015. Netanyahu served his first term between 1996 and 1999. The undisputed leader of the Likud political party, Netanyahu has skillfully navigated the Israeli stormy political waters and managed to maintain a functioning coalition until November 2018, when the resignation of the minister of defense Avigdor Lieberman weakened his Knesset majority and prompted him to call for the early elections. Netanyahu has fought and won on the political front many times. But in 2019, Netanyahu’s political battle is intertwined with a legal one. Following a number of police investigations, the AG Avihay Mandelblit, appointed by Netanyahu, decided earlier this year to indict Netanyahu on charges of fraud, bribery and breach of trust. Since the charges were made public, Netanyahu has claimed his innocence time and again and pledged to prove he has done nothing illegal in due course. 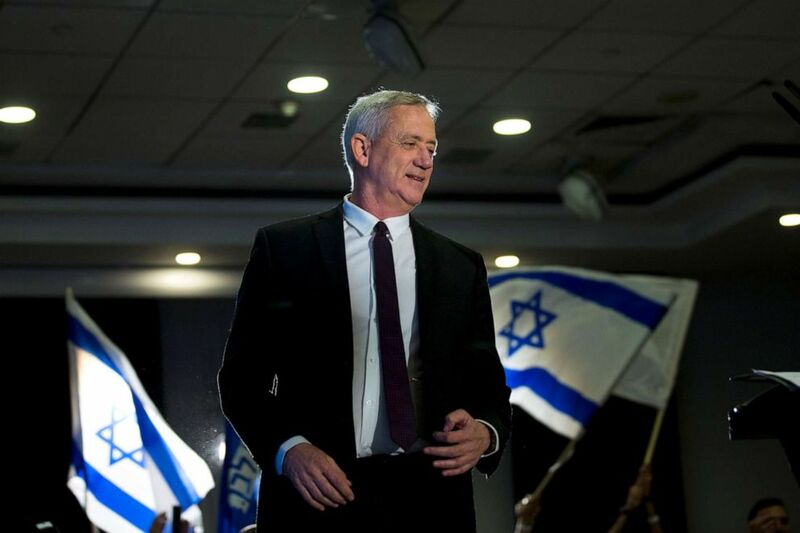 (Oded Balilty/AP) Retired Israeli general Benny Gantz, one of the leaders of the Blue and White party, prepares to deliver a speech during election campaigning for elections, March 27, 2019, in Ramat Gan, Israel. Netanyahu hasn’t faced a challenger with realistic chances of success for the last 10 years he was in office. The Israeli left has, over the years, lost support among the Israeli electorate after the Oslo accords failed to produce the desired results and the Israeli Palestinian problem remains still unresolved. It suffered an almost fatal blow after late prime minister Ariel Sharon evacuated the Jewish settlers from Gaza in 2005. For years, the left-wing parties had promoted the principle of “land for peace” — returning occupied land to Palestinian control in return for the normalization of the civilian life. But this was proven unattainable once Hamas began its rule of Gaza and began a still open-ended military conflict with Israel, which varied in its intensity over the years. After the early elections were called, however, a new name erupted in Israeli politics: Benny Gantz. A former chief of the Israel Defence Forces (IDF) with no experience in the public sector, Gantz’s announcement that he will run to unseat Netanyahu, revived the electoral process. Two other ex-IDF chiefs of staff, Gaby Ashkenazy and Mose Ya’alon — the latter a former minister of defense under Netanyahu — joined Gantz in the newly formed party Kahol Lavan, or Blue and White, after the colors of the Israeli flag. The alliance grew with the addition of the Yesh Atid party, which was founded by Yair Lapid, a former journalist, TV host and minister of finance. Altogether the quartet leading the alliance are running a centrist platform. 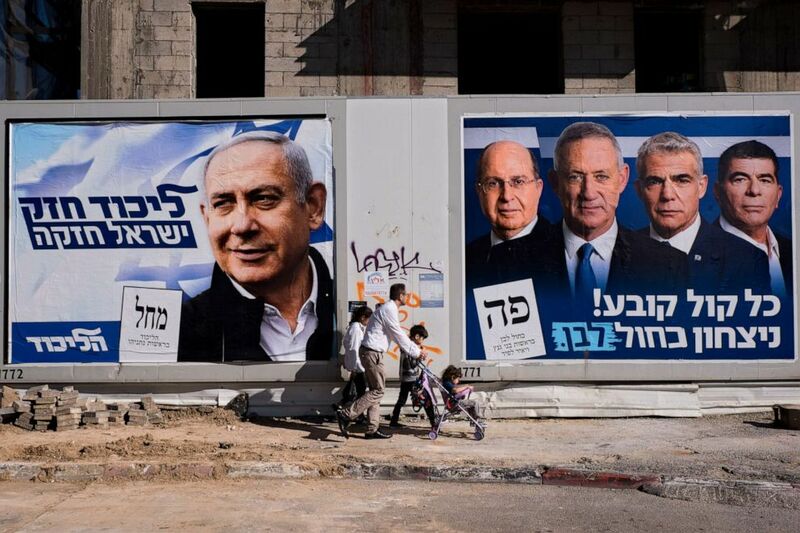 (Oded Balilty/AP) People walk by election campaign billboards in Tel Aviv, Israel, April 3, 2019. In a country that values military service, having the experience of running the IDF is considered an asset. The lack of political experience could be considered by some Israelis to be an advantage as Gantz is seen as a not-yet-contaminated political figure who is less likely to be corrupt. Netanyahu has turned to his base, asking for the attention to be focused not on his legal trouble, but on his achievements. Among them, the opening of the U.S. embassy in Jerusalem in 2018 and President Donald Trump’s proclamation recognizing Israeli sovereignty over the disputed Golan Heights. Last week, the remains of an IDF soldier missing in action were returned to Israel after 37 years. Netanyahu flew to Moscow to thank President Vladimir Putin for Russia’s role in locating and facilitating the return of the soldier’s remains. Later that day, Netanyahu attended the funeral and paid his respects to the family — images Netanyahu hopes will linger in the minds of many Israelis going to the polls on Tuesday. With only days remaining until the polls open, the outcome of the elections is still hard to predict. Gantz, the latest polls show, is a worthy candidate for the office of prime minister and his party is trailing the Likud by a small number of Knesset seats. But in spite of the close race, the numbers point out that it is more likely that the Likud will win the next elections. According to the Israeli electoral system, after the elections results are announced, the President of the state calls on the leader of the party with the best prospects of forming a coalition of at least 61 members majority in a house of 120 seats; if successful, that party leader becomes the elected prime minister. At this point, Netanyahu seems to have the numbers allowing him to claim the office for a fourth consecutive time, becoming Israel longest serving head of state. Previous Rep. Tim Ryan jumped into the crowded 2020 presidential contest on Thursday. Next Runners will race through the North Korean capital in the annual event.